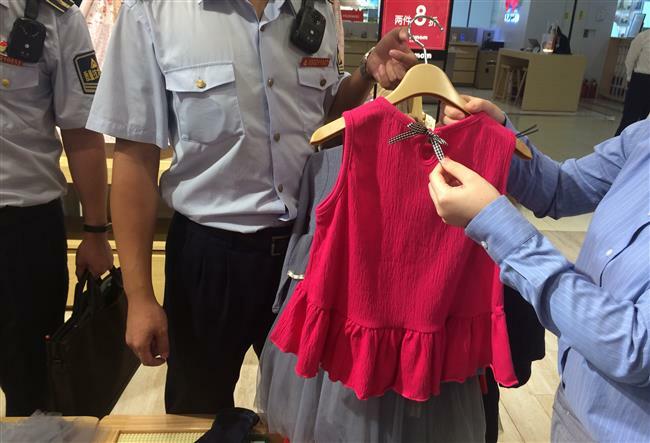 A batch of children's clothing in a shopping mall in Minhang District was taken taken off the shelves for failing to meet quality standards. 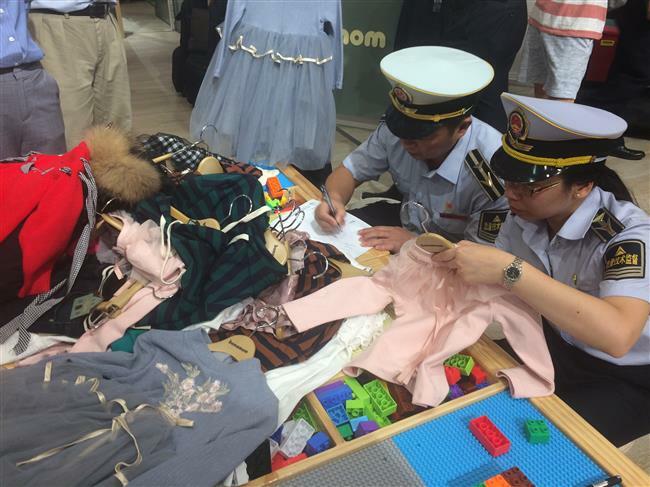 Shanghai Quality and Technical Supervision Bureau’s law enforcement team holds inspection on children's clothes at Minhang District's Sky Mall on Thursday morning. A batch of children’s clothes that failed to meet quality standards has been ordered off the shelves after an inspection by the city quality watchdog on yesterday morning. Over 20 patterns of “Bonamom” children’s wear at the brand’s store in Minhang District’s Sky Mall, including skirts, coats and trousers, were found to have problems regarding the design or materials. A law enforcement team found that some dresses and tops had long ornamentation at the neckline, which is against the safety standard for children’s clothes. According to a national standard, clothes for children below the age of seven shall not have belt or ribbon designs near the collar. Other design faults found include sharp zipper sliders which are not safe for children. The fiber of a pair of jeans was thought to be below the standard, but needs further test to confirm. All clothes with quality problems in the store were taken off sale. The enforcement team ordered the company to recall any products sold. Those in stock will be confiscated. “The latest safety standard for children’s apparel was introduced in 2016. Over 80 clothing enterprises in the city have been inspected since last year. 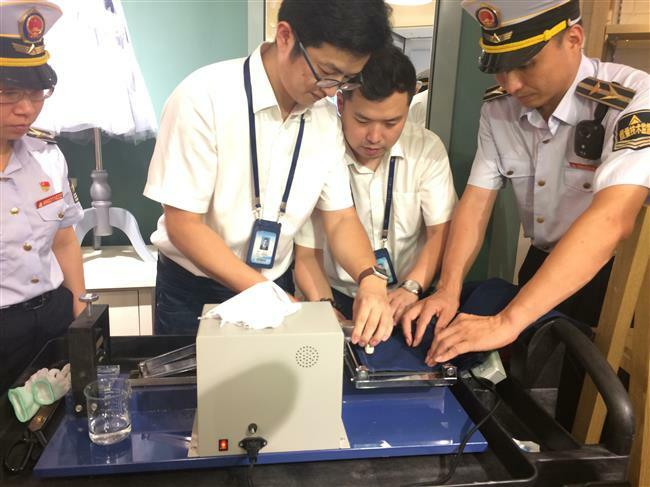 Twenty one of them were found to have violated the regulations and were fined a total of one million yuan (US$146,000) ,” said the enforcement team’s vice captain Cai Jie. Cai said more inspections twill be organized this year. Enforcement team members holds a color fading test.